So what's a mom to do when she can't find a well-designed pair of baby shoe's? If you're like Susan Peterson the owner of Freshly Picked, you get a bag of scrap leather out and create your own. Not just any pair baby shoes, but a very comfortable pair of moccasins they hardly notice wearing. After several design changes, Peterson finally came up with a workable pro-to-type her son Gus successfully wore and Freshly Picked (made) just for him. 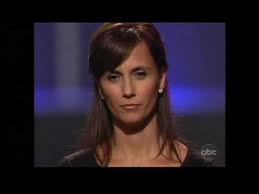 Now we've had several contestants on the Shark Tank that had a great idea starting with a limited budget, but something about Susan's rise to the top really stands out and shows just how devoted she was to make Freshly Picked Moccasins a Success from the very beginning. With zero capital to fund her new venture, Peterson got creative and talked her brother who owns a window installation business into giving her all the old windows so she could recycle the aluminum. After spending an entire summer busting out glass and removing thousands of screws from the aluminum frames, Susan managed to raise $200.00 to start the Freshly Picked Moccasin Business. Now just 5 years later Peterson's shear will to succeed making moccasin's for babies is coming to the Shark Tank and propel this business to brand new heights. 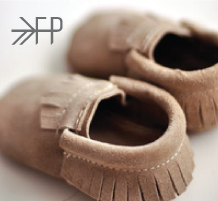 Actually Freshly Picked Moccasin's has already had a good amount of publicity mainly from a few celebrity babies wearing the Freshly Picked Brand including Courtney and Kim Kardashian. A pair of Freshly Picked Moccasin's was also front and center in a photograph on Perez Hilton's Popular Blog which certainly looks a lot more comfortable than his moms knee high moccasin looking boot's. 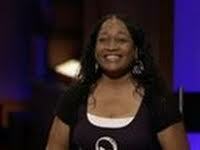 Do you think Susan Peterson and the Freshly Picked Brand has what it takes to get a deal on the Shark Tank Show? According to Her Shopify Website there's four moccasin styles to choose from including the Chocolate, Fools Gold, Frosted Rose and the Prince George Limited Edition Moccasins. 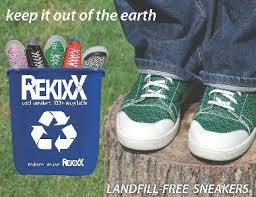 Each pair is Handmade in the USA and retails for $60.00 each. It's always fun learning about future contestants before they appear on the Shark Tank and see how they are promoting this once-in-a-lifetime opportunity. I don't know maybe its just me, but if my business was about to be featured on the Best Business Reality TV Show in History I would want EVERYONE to know. Even if the Sharks ate me alive, I still wouldn't care because out of thousands of other entrepreneurs that tried out for the Show, I MADE IT and my product will forever be in this very select group known as a Shark Tank product. A few small businesses featured on the Shark Tank that makes each product by hand has been overwhelmed with orders beyond their wildest dreams. Maybe spending their time preparing for the Shark Tank Effect before-hand would be better spent than making a big deal going on this famous show. Freshly Picked has over 17,000 Likes on FaceBook alone clearly making this a popular product consumers already love before the Shark Tank Episode. But as far as I could tell there's just a single mention to the fact Susan will be on the show this Friday night. That's kind of an interesting fact, but no doubt Susan knows the Freshly Picked Business better than anyone and thinking about this product's success for the long term. Also I can't help but question the annual $$ figure of $500,000... simply because these type of handmade baby shoes can be purchased for 75% less on various artisan websites... or the crafty folks can even make them for around $2.00! This reminds me a little of the Cozy Bug Pillow dress... she claimed very high numbers as well and got a deal with Damon (I think) but if you double check there has been no movement at all on any if the social media sites in quiet a while! Love the shoes, wish they were priced at $20-$26. Because I can't afford them at $60. WOW, $60.00 that's alot high for shoes that a child is gonna wear a hand full of times, I would not pay nomore than $25.00 for these, very adorable tho. I love your satin Freshly Picked on Shark Tank. The colors are so beautiful together! As far as The Freshly Picked Mocc color-I'd have to go with Cherry to math the lovey!